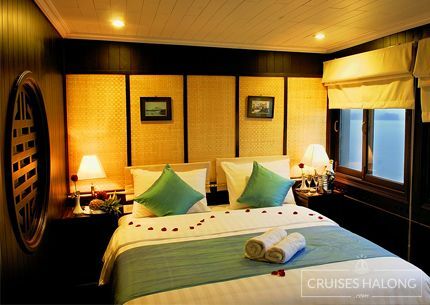 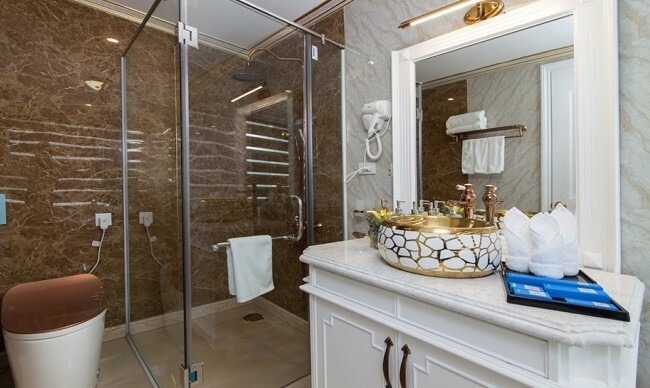 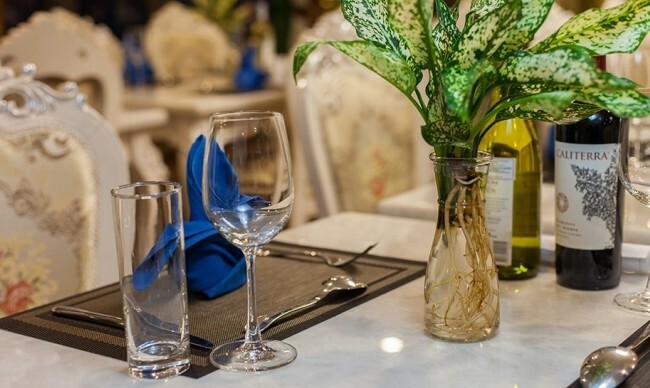 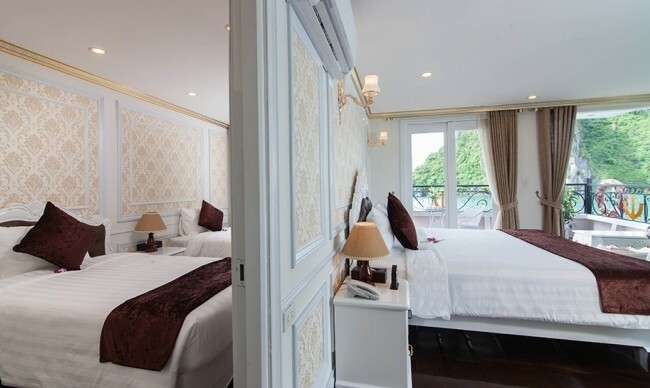 Elegant concept and decoration with luxury facilities. 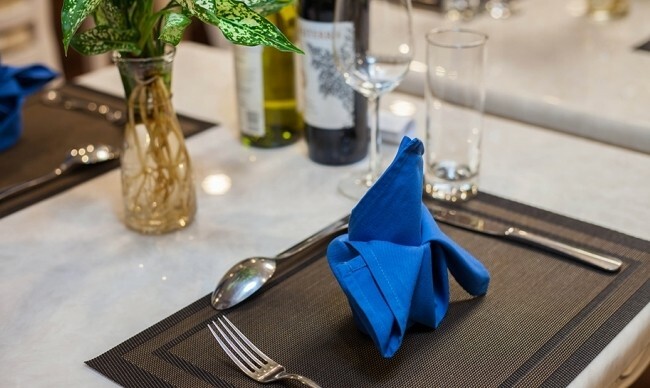 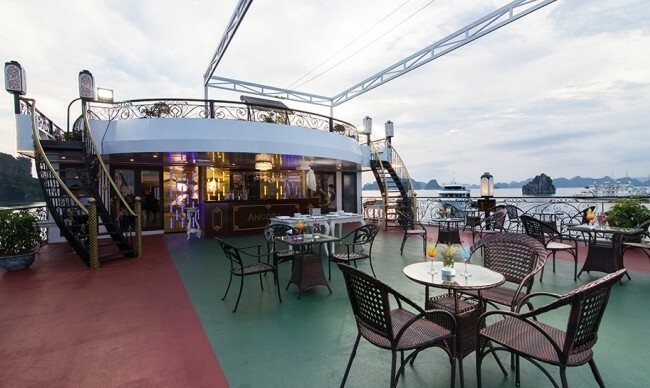 Cruise in style, dine in luxury. 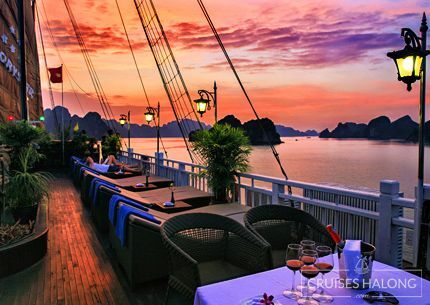 Our restaurant paints a picture of Halong’s dreamy beauty in its subtle design. 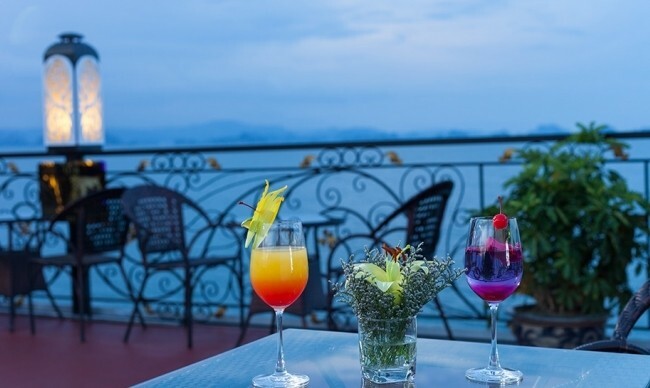 The fusion menu is a harmonized combination of Asian and Western culture while reflecting the signature tropical weather and ocean ambience. 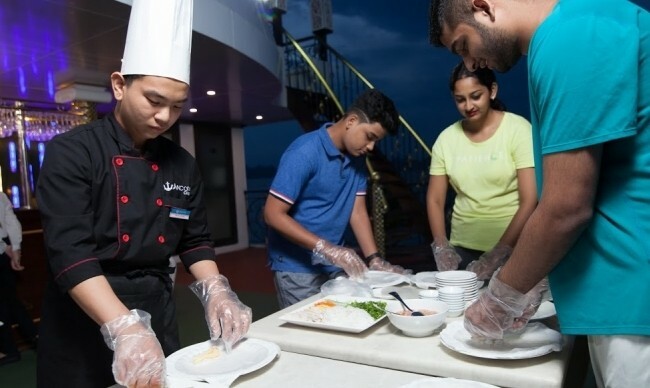 Fresh local ingredients are chosen to secure upper-class food quality and taste. 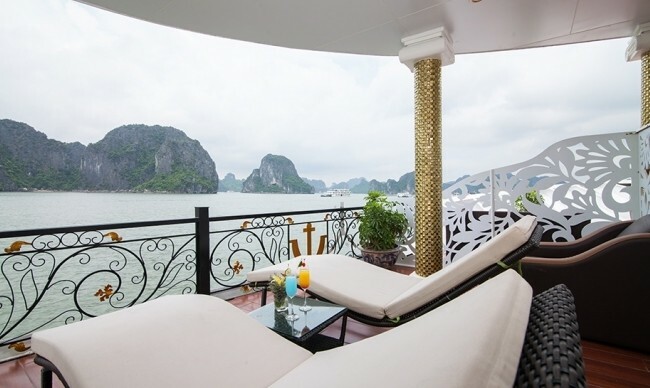 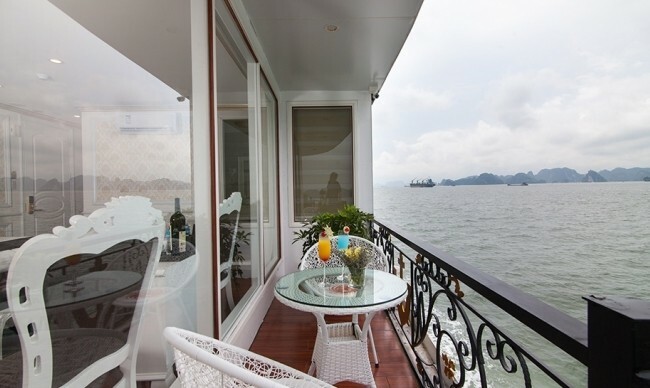 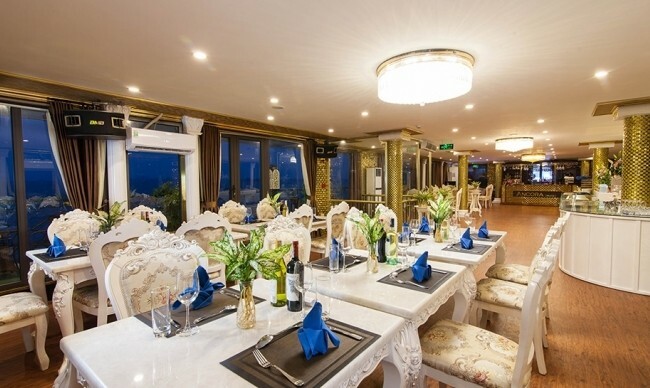 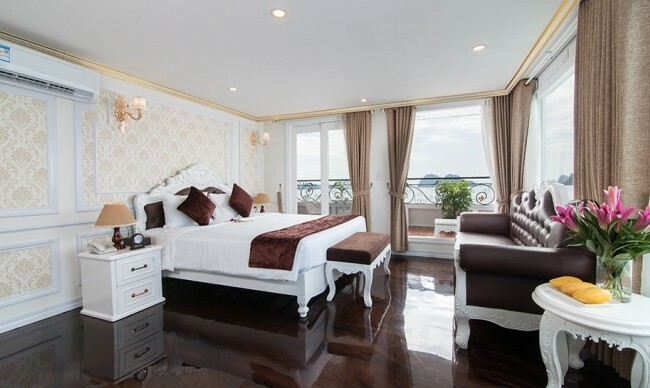 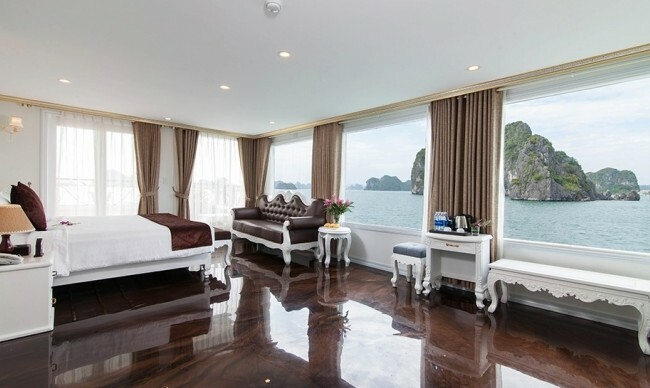 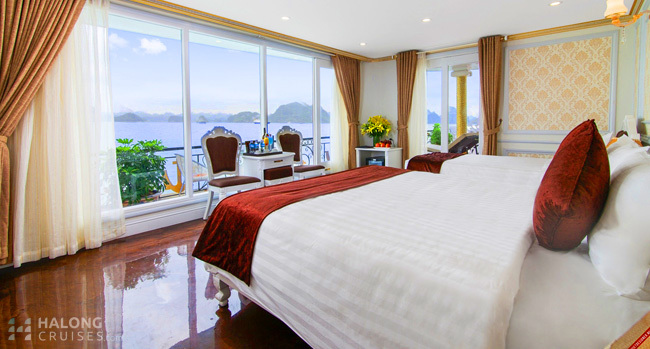 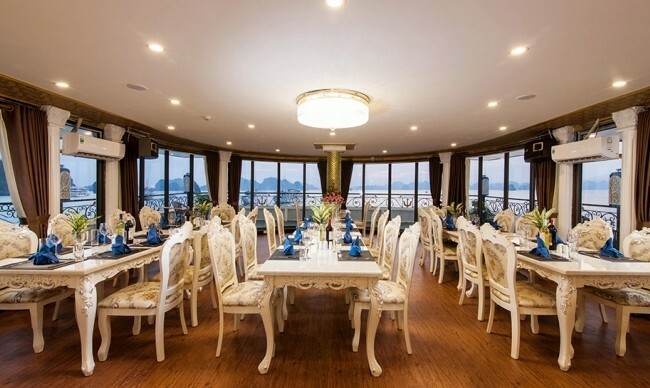 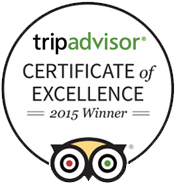 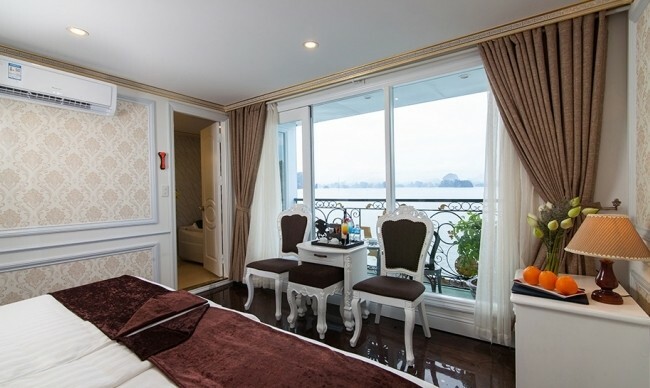 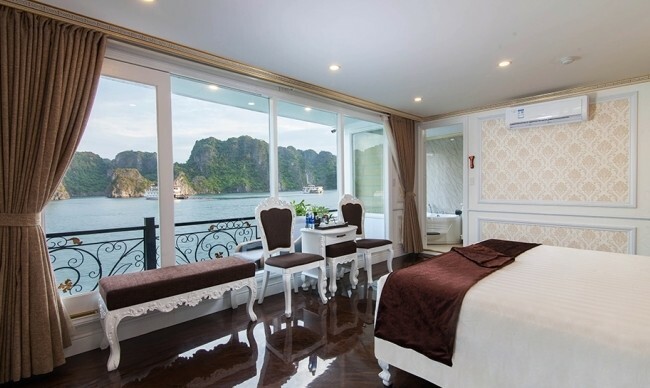 Guests can immerse themselves in a true fine dining experience while revelling in the panoramic view of Halong Bay. 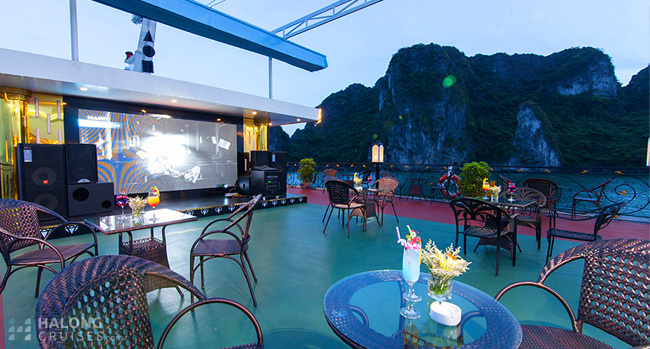 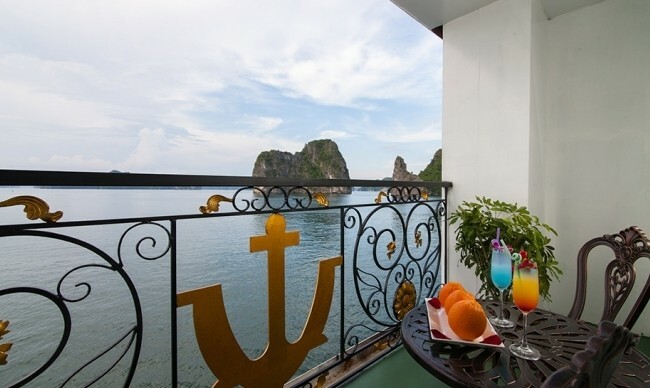 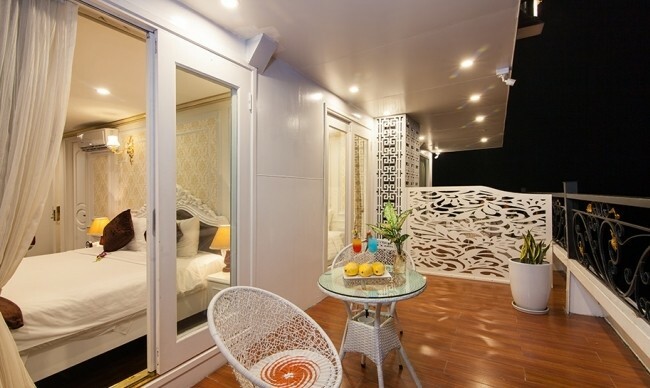 Skybar was named after a beautiful bay in Halong. 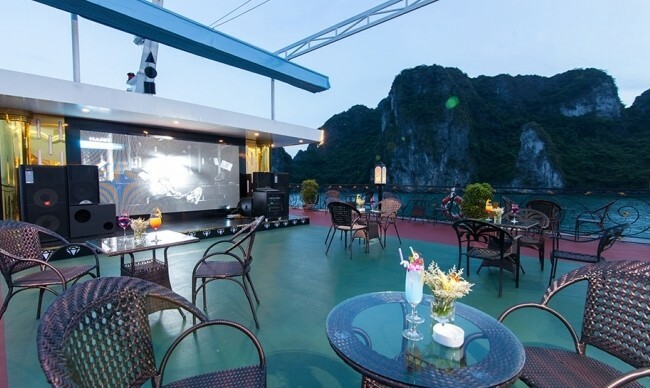 This open-air bar, located beyond the restaurant on the terrace deck, is designed around the principles of Feng Shui and is the ideal place for guests to enjoy a wide range of drinks to accompany the spetacular views over the seas. 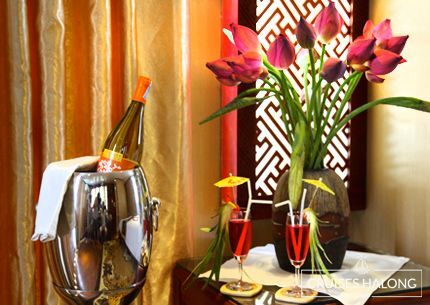 Pamper yourself after a full day of activities in the sense of lotion and find inner peace in our spa. 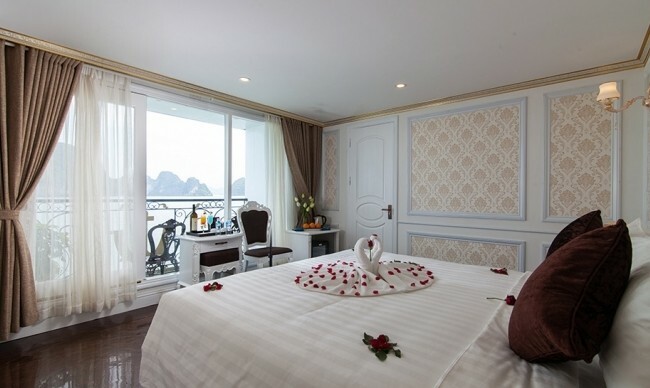 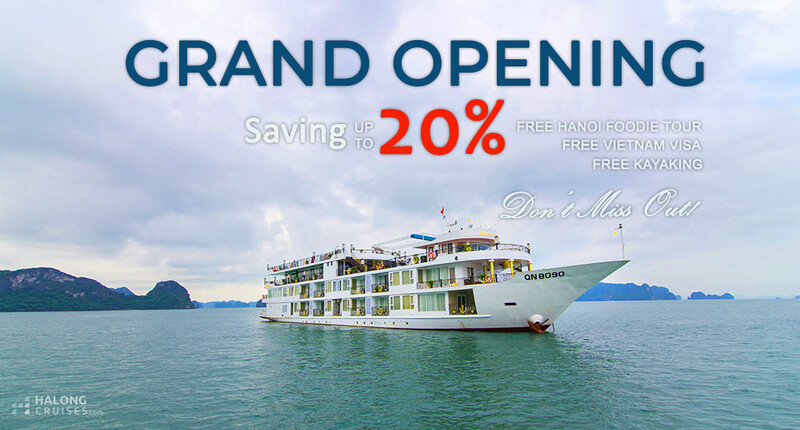 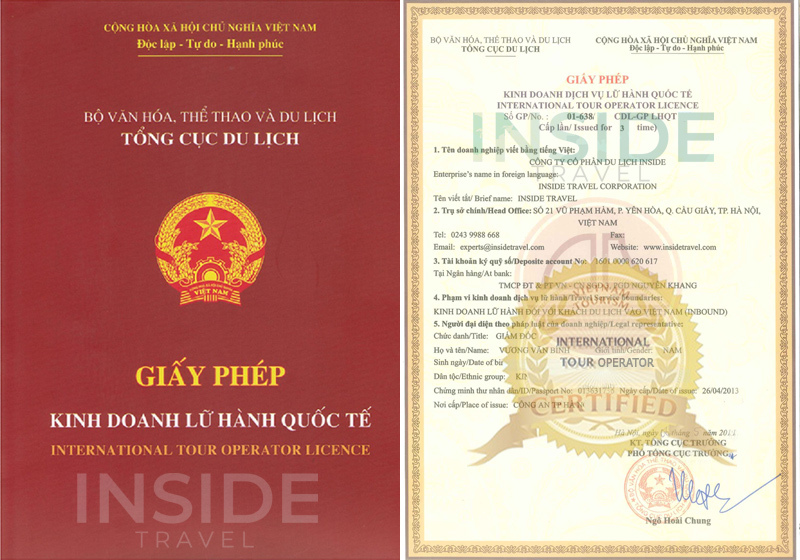 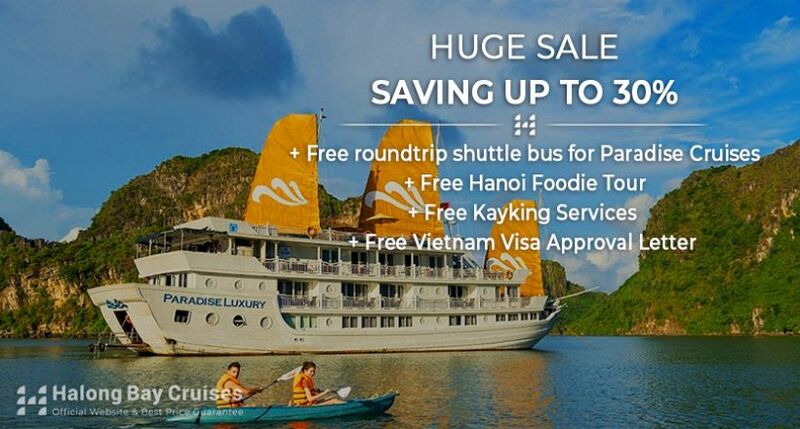 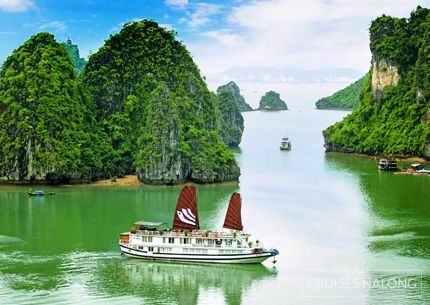 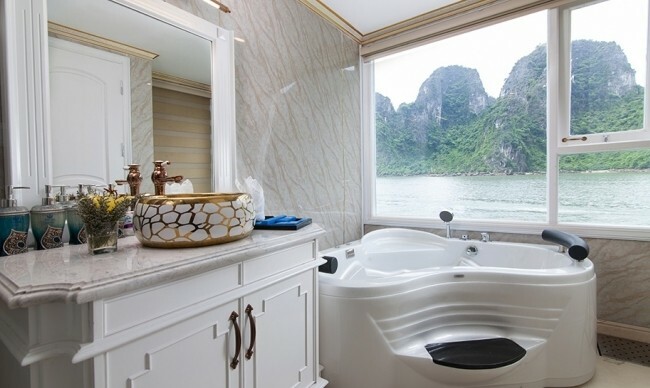 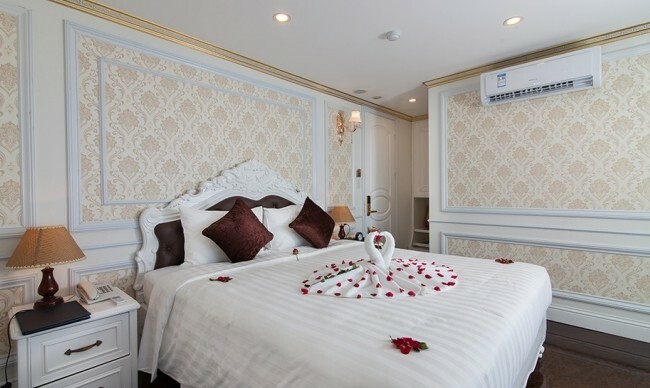 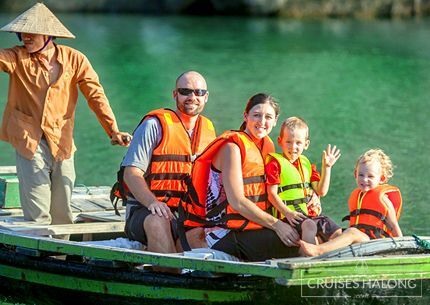 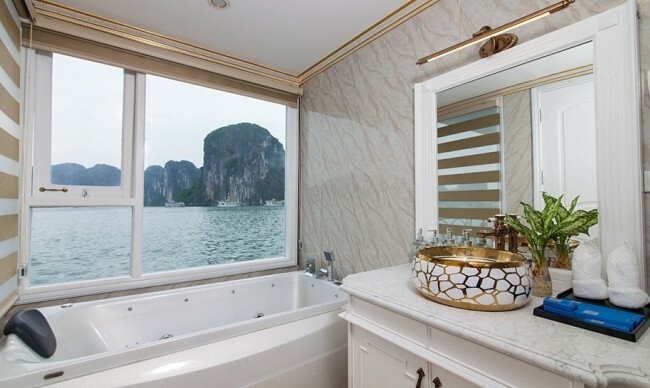 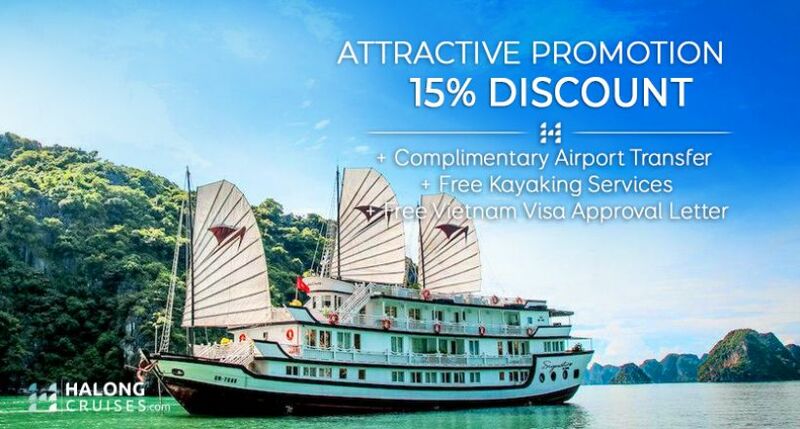 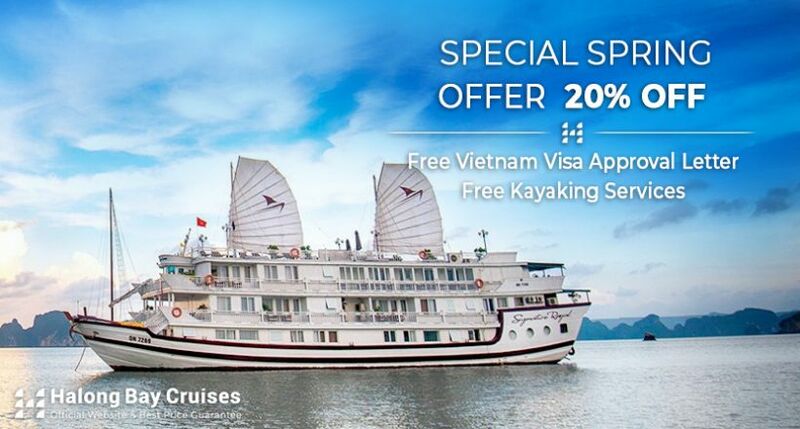 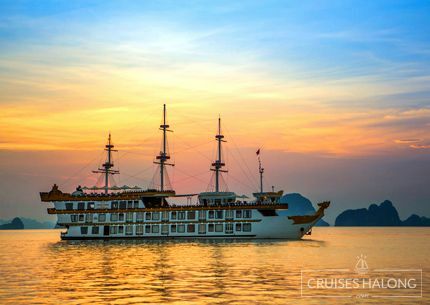 A cruise trip with Ancora never gets bored with an exciting list of onboard and off-board activities in Halong Bay and Bai Tu Long Bay, where guests can immerse themselves in the less touristy area of the sea.Ancora Cruises brings an authentic Vietnam experience to international guests as they cruise in the signature destination of the country. 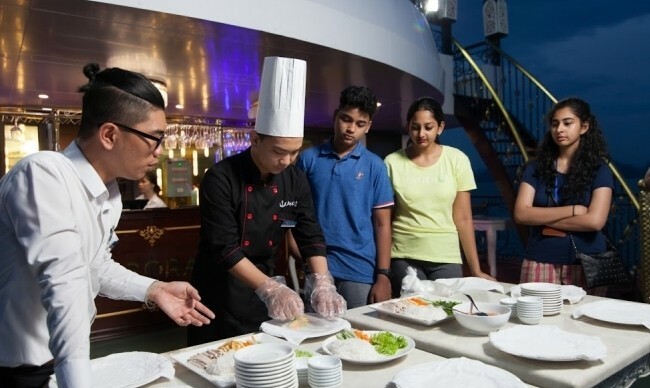 An on board cooking demonstration with Ancora’s talented Head Chef allows guests to learn interesting dining habit of local residents as well as have a quick taste of home-cooking dishes that have travelled a long way in Vietnam history.